Now is the time to reserve your slot for Spring/Summer Season. Just simply call us for a totally free estimate. We offer a professional lawn service with available weed and pest control, hedge maintenance and fertilization. We are fully licensed and insured. With over 10 years of experience and countless hours of training by the UGA green team. A licensed commercial pesticide specialist is on staff. Slots are filling up quickly since there is limited space on our schedule. 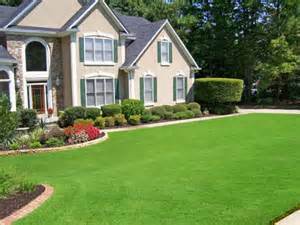 Call today so you can have a lush and beautifully manicured lawn this Spring/Summer. Why do the work when we will do it for a very, very affordable price. Lawn service begins as low as $30 per cut for small lawns. All other maintenance is performed at an additional low cost.